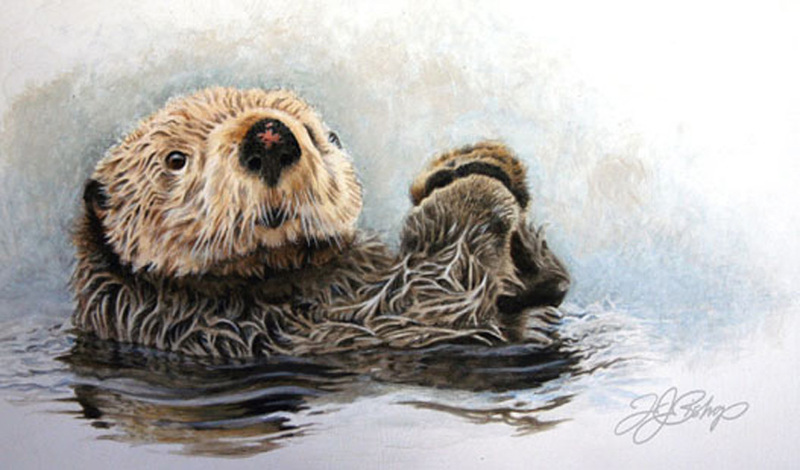 The largest member of the weasel family, the sea otter is also the 2nd smallest marine mammal, they possess the thickest fur in the animal kingdom and were nearly hunted to extinction for their pelts which were used for making coats. Also, unlike most marine mammals, the sea otters do not have a layer of blubber underneath their fur they can easily die from cold. 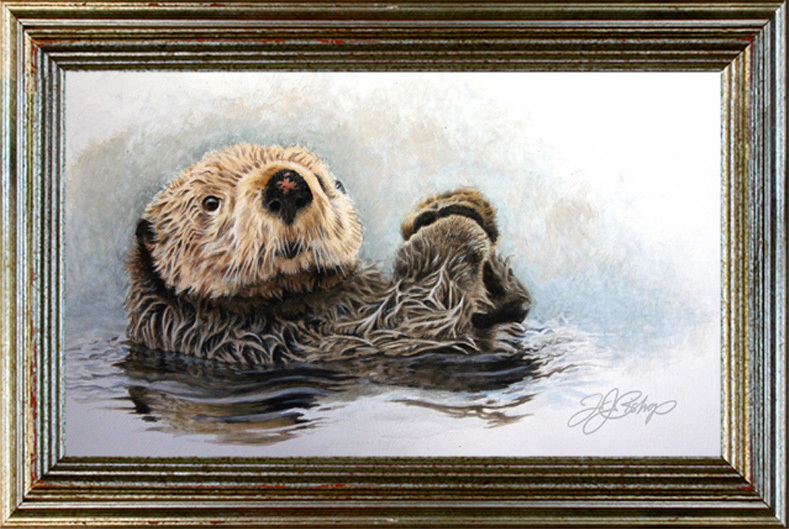 The furs of sea otters are the only thing that protects them and keep them warm. If oil gets on their fur they will die. This is why they are threatened by oil spills. They can also be threatened by shellfish fishers as their body gets tangled up in fishing net. I saw my first Sea Otter in the wild while kayaking in Monterey Bay, near their famed aquarium…it had just surface from grabbing a scallop from the bottom along with its favorite flat stone, as they normally do, this one rolled over on its back, placed the stone on its stomach and began to smack the scallop against the stone like someone trying to break a nut…..once it had the shell cracked and began to happily eat the scallop, you could hear it’s lips smacking for quite a ways. I found that if you’re quiet and move slowly you can literally glide right up next to them while they’re eating or resting. When they rest, or sleep, they always anchor themselves in place by wrapping their bodies in kelp leaves that is always in abundance when you find these lovable clowns of the sea.